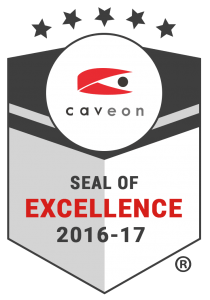 Caveon Test Security is proud to announce its Caveon Seal of Excellence™ program. The CSE is a quality assurance effort to improve test security practices across the testing industry. The Seal signifies that an organization exemplifies the best practices in test security. is a prestigious recognition awarded to those companies who exemplify the very best test security practices, policies, and processes. is designed to acknowledge those testing organizations that are in compliance with Caveon’s Test Security Standards. The seal is awarded to organizations that have met two levels of criteria: they have completed a Caveon Security Audit in the last two years, and meet a minimum set of security requirements.